This Rich Chocolate Frosting is a smooth and creamy buttercream frosting that uses real melted chocolate for the perfect chocolaty flavor. Every year for my husband's birthday I make him a cake, usually with a chocolate theme. One year it was my Triple Chocolate Poke Cake. That one was a huge hit! I've also made him a simple layered yellow cake frosted with this dreamy frosting. This recipe is rich chocolaty decadence. I guess that's what you get when you make it with silky melted chocolate. Ahhhh, bliss! I was so pleased with my layers, too! I'm by no means a baker, but this cake came out with just the right amount of frosting in the middle. Picture perfect! I've learned over the years that making pantry items from scratch yields results that taste far better than their store-bought counterparts, and this frosting is no exception. With just a few simple ingredients, you can whip up homemade frosting in no time at all. 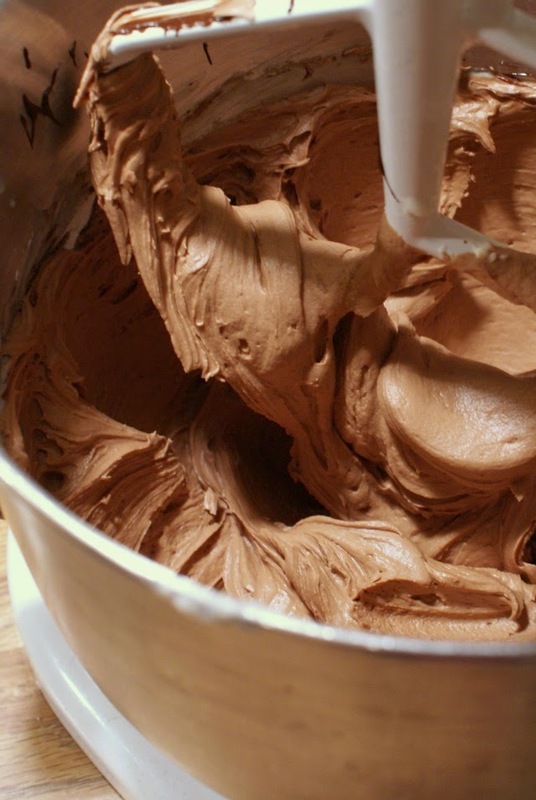 Forget the cans, this homemade chocolate frosting rocks! In a large bowl, add the powdered sugar, butter and vanilla to the melted chocolate. Gradually add the milk, beating constantly with a mixer on low speed until combined. 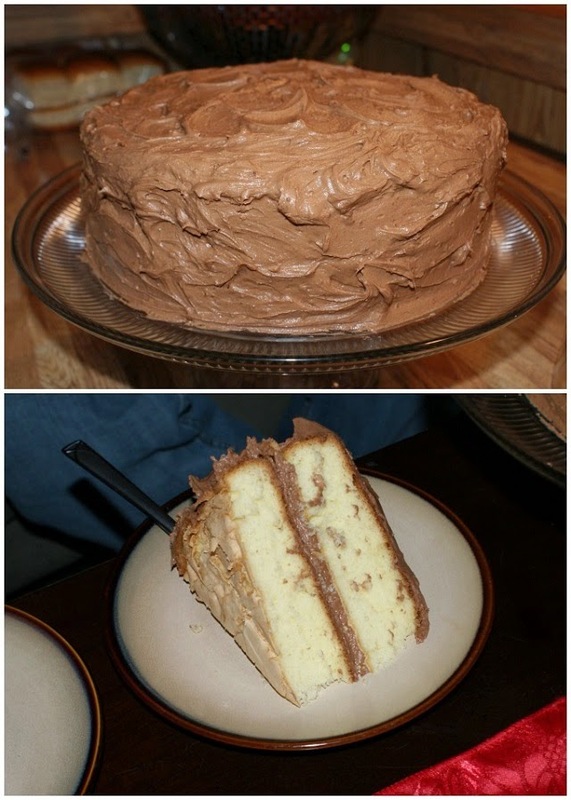 Recipe makes enough to frost tops and sides of 2 (9-inch) cake layers, top and sides of 13x9-inch cake, or 24 cupcakes. Source: From the folks at Baker's Chocolate.